Cha Soo Hyun is a woman who seems to have everything in life, however, being the daughter of a politician the reality is very different, as she lives a life in which she can not choose her own path. After graduating from university, she married the son of a wealthy conglomerate in an arranged marriage, a marriage from which only her father benefits, and after having a child, she was forced to divorce. 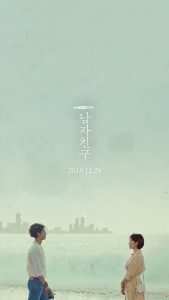 As unfortunate as the situation may seem, her life changes when she meets the simple and kind Kim Jin Hyuk. Kim Jin Hyuk is ordinary and innocent, a young man who enjoys life, lives it fully and finds happiness in small things. He has many part-time jobs to earn a living, although his goal is to find a regular job. One day, saving enough money, he decides to take a trip abroad, where he gets to know Cha Soo Hyun. She is a representative of Donghua Hotel, daughter of politician Cha Jong Hyun. This brought her a life devoid of making her own decisions. During her father’s election campaign, she always had to appear to be the perfect girl, wore a belt, greeted and sang. Soo Hyun is intelligent and beautiful, she soon passed from the daughter of a legislator to the daughter of the mayor of Seoul. She is now the daughter of the party leader. After graduating, she became the wife of the son of the Taekyung group but quickly became a divorced woman. After the divorce process she received the “Donghwa Hotel”, a business that was dying but thanks to Soo Hyun’s cunning and intelligence in four years, she reached the top of the industry. She wants to live at the Donghwa Hotel as a representative of the former daughter-in-law of the Tae Kyung Group. Even after the divorce, her family’s shadow is tightening like a necklace. He was born in Hong Jeong-dong, grew up and still lives there. He’s twenty-nine years old. His parents Kim Jang Soo and Joo Yeon Ja are good people who have a fruit selling business. Like his parents, he is a young man who is very interested in helping his neighbors. He went to school a year earlier and graduated early with excellent grades. A simple young man who that works part-time, doesn’t have a cell phone and drinks beer in his neighborhood bar. Kim Jin Hyuk collected all the money he could with his multiple jobs and traveled to Cuba for 4 weeks. Never in his life had he made such a long trip that it might be his last luxury trip. Cha Jong Hyun did not expect to have a career in politics. He was a man who loved his daughter very much, he remembers her as a smiling young woman, but now he hardly sees her smile. Despite having a successful career in politics, part of him really cares about his daughter and regrets all the harm her career did to her. A man who finds himself in a dilemma: His beloved daughter or politics. “Encounter” is a TvN drama that will test the true love of the protagonists, where they will have to decide between a life full of riches or a simple but warm life. What will they decide? This drama will premiere on November 28 at 9:30 pm after the culmination of “The Smile Has Left Your Eyes”. This love story between two very different people whose lives change after a casual encounter, promises to make all viewers sigh and suffer in each scene between Song Hye Kyo and Park Bo Gum. This is Song Hye Kyo‘s most recent protagonist work after her successful role in the drama “Descendants of the Sun“. “Encounter” also has the participation of Nam Gi Ae as Ji Mi Ok, Go Chang Suk as Nam Myung Sik, Kim Hye Eun as Kim Sun Joo, among others. 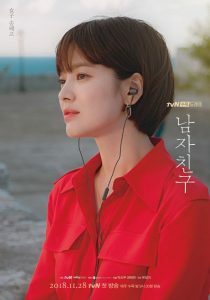 “Encounter” is also the first Korean drama to be recorded in Cuba. 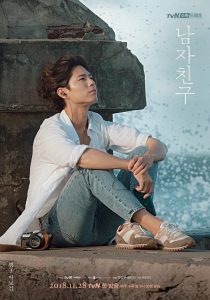 It was first planned to make the recordings in the city of Granada in Spain, but it was determined then that Cuba had the right environment, full of magical colors and amazing views that would undoubtedly acclimatize all the diverse and unique experiences between Soo Hyun and Jin Hyuk in that magnificent journey that marks their lives. The production staff did an arduous job to be able to record in the country, after this they began to officially film, starting in September, recordings that lasted about a month in the Havana Cuba. 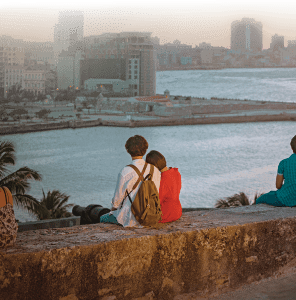 During the filming, the producers and actors of “Encounter” took advantage of those places that had a deep and fascinating historical setting, such as Havana’s Malecón beach and Cuba’s National Hotel. The production team said: “Because it is difficult to get permission to record in Cuba, we put a lot of effort into making this happen. Thanks to the actors and staff who worked together under the South American sun with similar feelings of wanting to create beautiful scenes, we are very happy to have been able to film touching scenes. 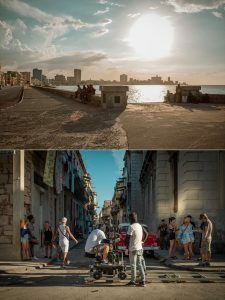 We intend to portray the joy and aesthetic elements of Cubans throughout the drama, so please wait for the premiere of “Encounter” that will be filled with the exotic and beautiful Cuban stage.